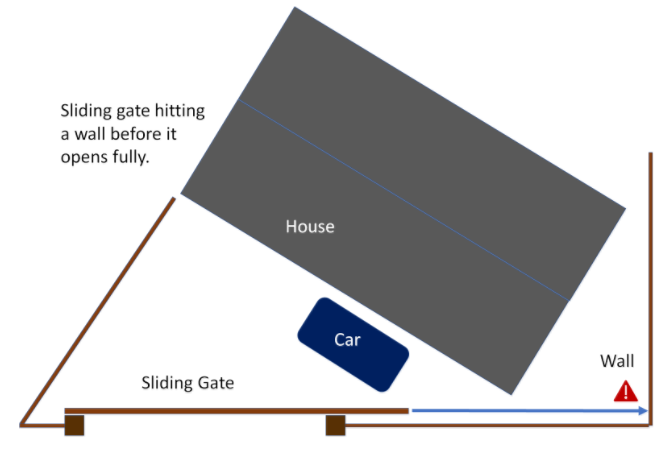 What Are Your Automatic Gate Choices If You Have Limited Space? 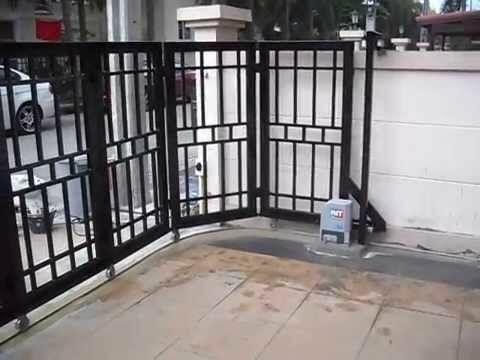 How Much Do Electric Gates Cost? 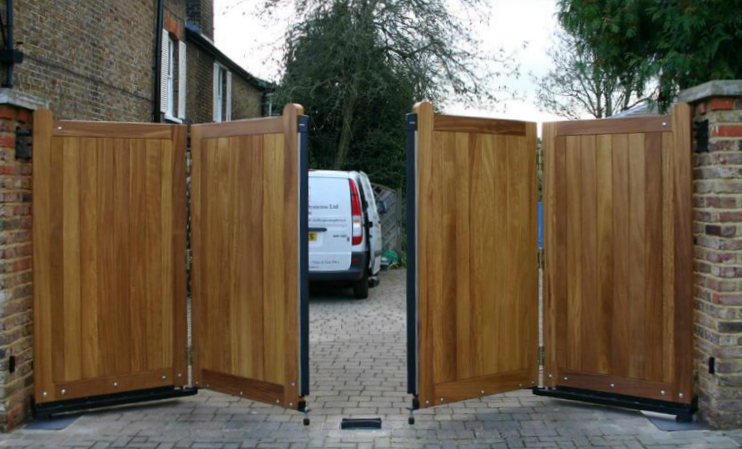 Do Electric Gates Need Planning Permission? Automatic gates are like any other gates in that they need space to move through as they open and close. Sliding gates slide to one side into space that is longer than their length. Swing gates move through an arc as they open to at least 90 degrees from their closed position. In both cases, nothing can obstruct the gates’ movement. So, what are your options if you have limited space for gates to travel through? Bi-fold swing gates are effectively normal swing gates cut in half vertically. This means that they require about half the space traditional swing gates travel through. These gates fold in the middle as they swing open. This may sound like the perfect option for anyone with limited space but there are a few caveats. 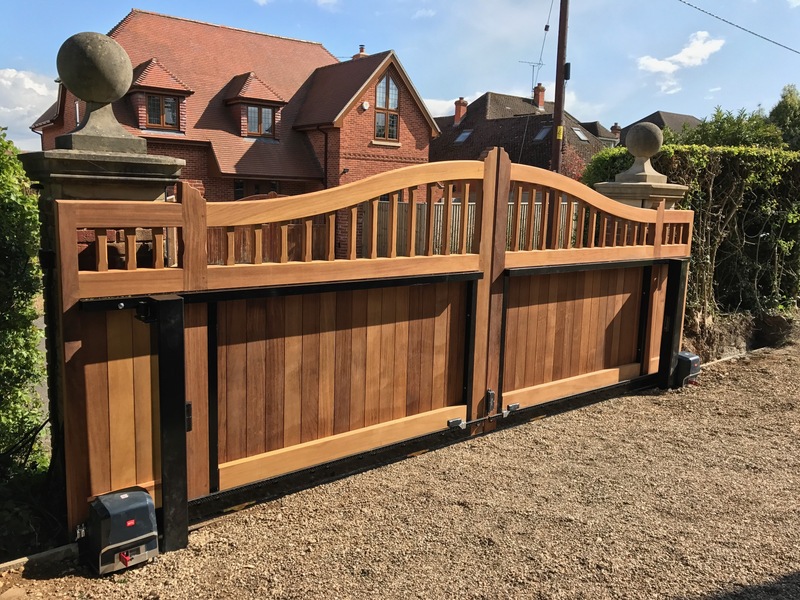 The traditional way to install bi-fold gates is to have a track in the ground or a rail above the gates that guides the leading edge of the gates as they open and close. But overhead rails can be unattractive and limit the height of vehicles that can pass through the gates. And ground tracks need regular cleaning to keep them free from leaves and gravel etc. Bi-fold gates have to be installed carefully to ensure correct operation. They must be able to move through their full travel without binding on tracks or rails. 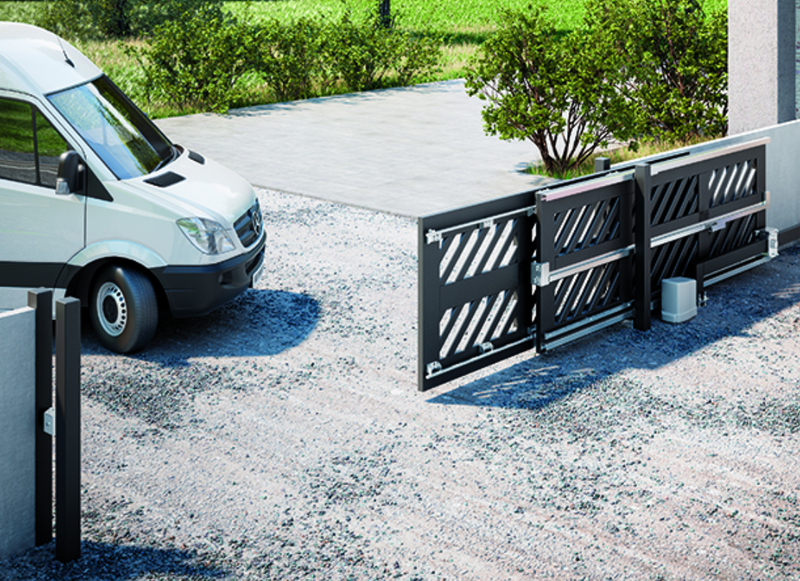 However, there is now a new kit that allows bi-fold gate installation without tracks or rails. As with any bi-fold gate, careful and accurate installation of the gates, hinges and the kit is vital for smooth operation. These gates also need a close stop for the gate to close to. Once the kit or tracks is installed, bi-fold gates can be automated by any standard gate automation motors such as articulated arm, rams, linear screw or underground gate motors. The complex nature of bi-fold gates means that there’s a limit to the size of set that can be fabricated, and larger industrial bi-fold gates need to be specially fabricated. Telescopic sliding gates split the gate into overlapping sections that slide closed alongside the other sections. If the gate is split into two sections, it needs slightly more than half the space of the equivalent single slider. If it’s split into three sections, it will need just over a third the space of the equivalent single slider. These systems have the section nearest the open post driven by a standard sliding gate motor and a series of cables controls the opening and closing of the other leaf or leaves. Aside from the added complexity of installing multiple leaves and drive cables, a telescopic sliding gate system will require a separate track laid in the driveway entrance for each leaf. Bi-parting sliders simply open in the middle and each leaf slides to one side. While space is needed both sides of the gate to accommodate each leaf, only just over half the space required for a single sliding gate leaf is required. However, 2 sliding gate motors and a control unit to operate both motors are needed for this set-up. Round the corner sliding gates are made up multiple vertical sections hinged on both edges. This allows the sections to follow a curved track. 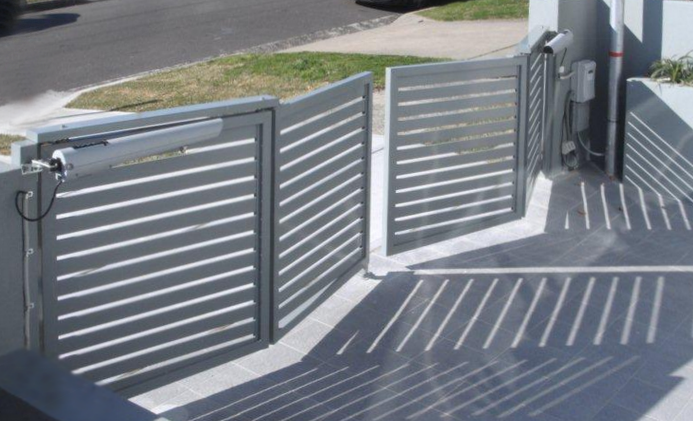 Where there is not enough room for a sliding gate to open fully before it would hit an obstacle such as a wall, these sliding gates allow the gate to follow the obstacle rather than hit it. These gates obviously require special curved track and the cost of the gates is more than the equivalent solid sliding gate. In all the above cases, the cost of the gates, hinges, tracks and installation will be higher than the equivalent pair of swing gates or single sliding gate with standard installation. However, if space is at a premium, and automated gates are highly desired, there are options for those willing to pay the extra cost for the added complexity. For more information about gate automation options for restricted spaces, call Linkcare on 01895 232 626. Do you sell the “around the corner gates” in the US?